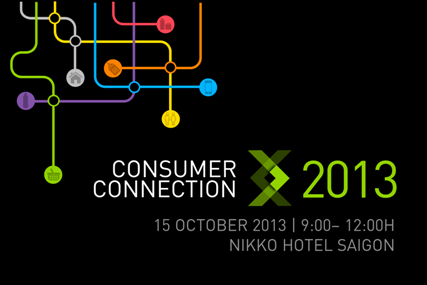 On this exclusive journey of Consumer Connection 2013, we’ll take you through different Connection Points, where you’ll have chance to explore different aspects of the consumer world. Each Connection Point also plays as a portal where you can be connected directly to consumers from different demographic backgrounds. And by linking these Connection Points, we aim to bring you the large-scale map so you can navigate your journey to success. What's behind the slowdown of the FMCG market? How to ride the wave in the rapidly changing retail landscape? What makes a successful launch? Free-of-charge seats are limited. Kindly contact us at vietnam@kantarworldpanel.com for more details on entrance fee.